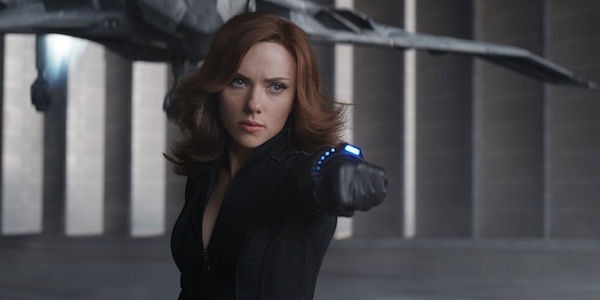 With Marvel Studios still holding off on releasing their plans for Phase 4, we currently know very little about the status of the upcoming Black Widow movie – but one thing that’s for sure is that the film is developing quickly. Naturally, Scarlett Johansson is attached to star – reprising the role she first played in Iron Man 2 – and Cate Shortland has been brought on to direct. Now we have the latest news about the project, which is that it’s adding a second member to its cast: Fighting With My Family star Florence Pugh. The news on this casting development comes from Variety, though the details sadly end there. Because next to nothing is known about Black Widow (including when the movie is actually set), there are no clues regarding what role Florence Pugh might play, or which side she will be playing when it comes down to good vs. evil. All that we really know is that Pugh is getting a lot of attention right now thanks to her turn in Fighting With My Family, and Marvel Studios decided that they wanted to be in business with her. Born in Oxford, England, Florence Pugh has been acting since 2014, getting her first role acting opposite Game Of Thrones star Maisie Williams in Carol Morley’s feature The Falling. Since then she has found work on both the big and small screens – arguably the biggest project before this year being David Mackenzie’s Outlaw King with Chris Pine. She is now very much a star on the rise, however, and it’s in large part thanks to Fighting With My Family – a film that tells the backstory of WWE star Paige and has Florence Pugh as the lead. The movie wasn’t exactly a huge box office success, earning just a little over $20 million domestically, but it earned rave reviews, particularly for Pugh’s performance. That’s the kind of stuff Marvel Studios notices, so this development isn’t really that big of a surprise. Again, nothing is really known about the part that Florence Pugh plays in Black Widow, but it is worth noting that the actress apparently beat out some interesting competition for the part. For example, Variety’s Justin Kroll notes that Academy Award-nominee Saorise Ronan was also brought in for the potential gig, but Pugh wound up winning the role. Jac Schaeffer, who wrote the upcoming Dirty Rotten Scoundrels remake The Hustle, is currently developing the script for Black Widow, and Cate Shortland is set to make the feature has her follow-up to the 2017 thriller Berlin Syndrome. The film is expected to be one of the earliest titles released as part of the Marvel Cinematic Universe‘s Phase Four (especially because Guardians of the Galaxy Vol. 3 is no longer lined up for 2020), so it’s likely that we will start hearing more about this one very soon – including more additions to the cast. For all of the latest updates, be sure to keep checking in here on CinemaBlend.